There’s nothing like the thrill of knowing that you’ll soon be bringing a new cat home. Whether you’re getting your cat from a shelter or a breeder, the excitement is the same. 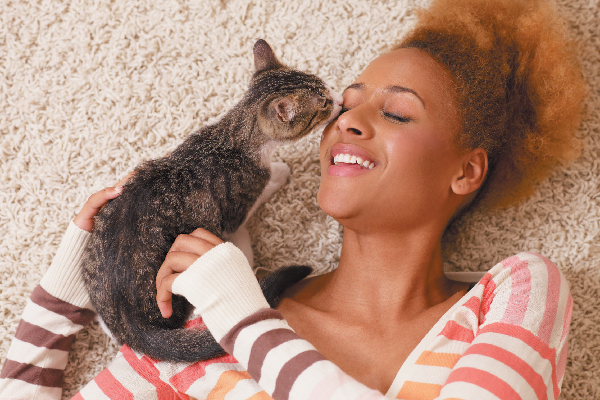 You’re looking forward to spending lots of quality time with your feline friend and want to get her off to the right start. Here are some things you’ll need before bringing a new cat home. A fluffy cat in a litter box. Photography ©absolutimages | Getty Images. You can always transition your cat to your preferred brand or type of litter later. Photography ©AH86 | Thinkstock. Along with the litter boxes, you’re going to need something to put in them. 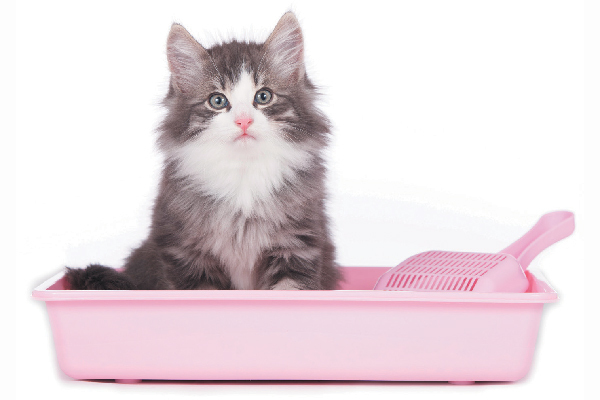 There are all sorts of cat litters out there, and the sheer variety can be confusing. 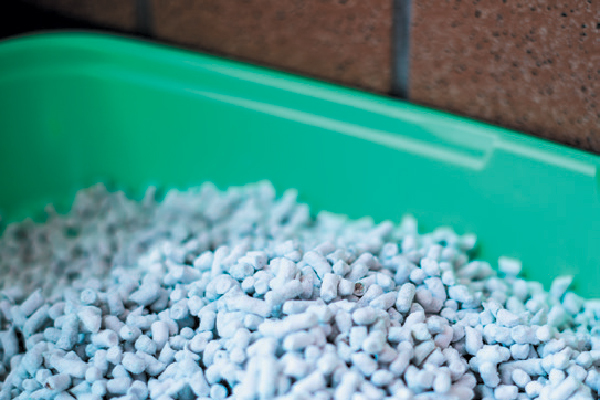 Ask your breeder or shelter what brand of litter they use, and buy the same kind for your cat to use in her new home. You can always transition her to your preferred brand later. 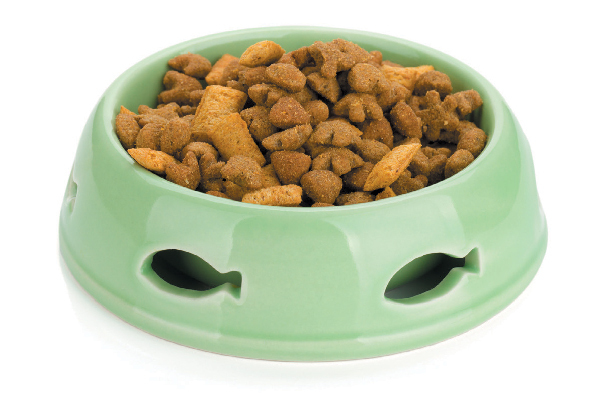 Get separate food and water dishes for your cat. Photography ©RooIvan | Thinkstock. 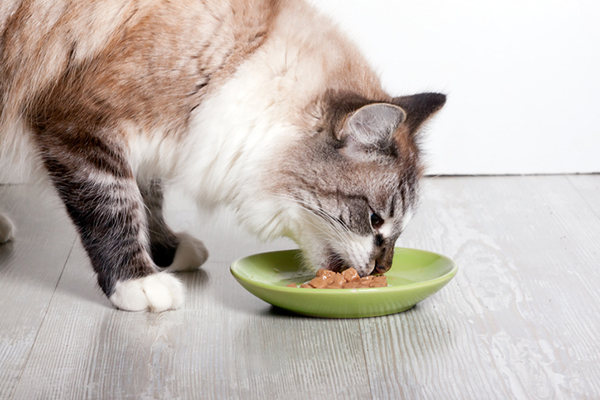 A food and water dish is another essential for bringing a new cat home. These should be stainless steel, glass or lead-free ceramic that are dishwasher safe. Get a separate food and water dish, not a combo dish, so the food and water don’t spill into each other. Discuss your cat’s diet with your vet. Photography ©karandaev | Getty Images. Ask your shelter or breeder what they feed the cats in their care, and buy the same brand for use in your home. They might even send you home with some food for your new cat, but be prepared and have food handy if they don’t. Make an appointment right away with your veterinarian to discuss your new pet’s diet going forward based on her particular health needs. Cats love cat trees. Photography © marima-design | Thinkstock. Cats view their territory in three dimensions, and you can maximize your cat’s territory even in a small space by buying a cat tree and placing it near a window so your cat can have a view of the action going on outdoors. Buy a tree that’s at least 6 feet tall. It should be sturdy and heavy enough to not go flying if your cat jumps and plays on it. If you’re buying online, always read the reviews; you’ll learn a lot about what size cat the tree is appropriate for and the benefits or problems with the product. Have a variety of different scratchers on hand. Photography by mrtom-uk/istock. If you want to keep your cat from scratching your furniture, buy things she can scratch. Cats tend to prefer either horizontal or vertical scratching surfaces, so have both types ready when bringing a new cat home. A good scratching post should be at least 3 feet tall with a heavy base so it doesn’t wobble or fall over when your cat uses it. 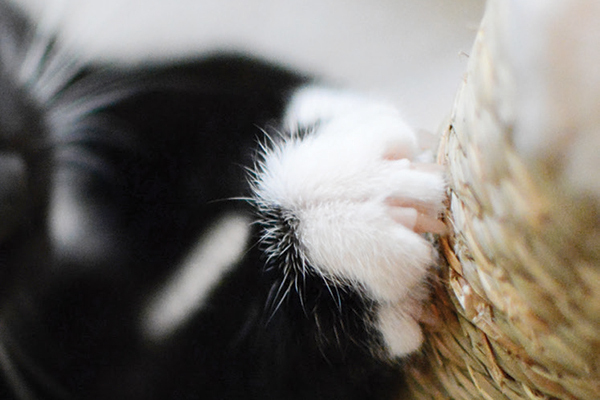 Sisal rope is better than carpeting as a surface for your scratching post because it’s more durable. Cardboard scratch pads are inexpensive and easy to find, so purchase several of those and put them in various places in your home. An orange tabby cat playing with a toy. Photography ©dentharg | Getty Images. Toys are crucial to have when bringing a cat home, no matter how young or old. They help to build confidence, keep your cat’s mind stimulated and can prevent unwanted behaviors like biting or scratching. Interactive toys like fishing poles with lures on the end of a string are particularly important. 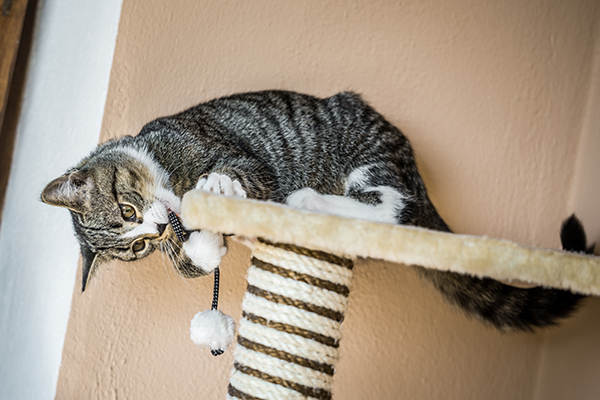 “[Fishing pole toys] are great bonding tools for getting a new kitty to enjoy being close to their human, but at a ‘safe’ distance that’s not scary for the shy ones,” says Amy Shojai, CABC, author of many go-to books on cat health and behavior. She says they are also an appropriate option that play-aggressive cats (especially kittens) can target. Amy also recommends enrichment tools like tunnels or empty paper bags and boxes for very shy or older cats who may not be as interested in interactive play. Get some toys your cat can enjoy playing with on her own, too. Cat beds give your cat a nice, dedicated space for naps. Photography ©infinityyy | Thinkstock. Even though your cat will probably spend most of her time sleeping on your furniture, at least one dedicated kitty bed is crucial to have when bringing a new cat home. Cats prefer beds with high sides where they can curl up for a nice, comfortable nap. If you’re bringing an older cat into your home, try a heated bed; it’s a great way to ease the pain of creaky joints. Heating pads aren’t recommended because they can get too hot and burn your cat. 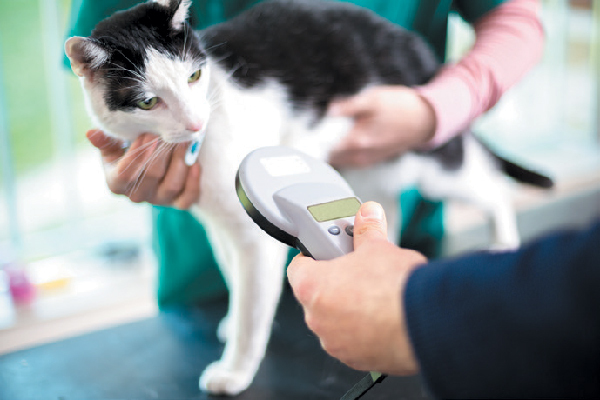 Make sure your cat is microchipped and has a collar with tags. Photography ©LuckyBusiness | Getty Images. All cats should be microchipped in case they slip outside and get lost. If you adopt from a shelter, the odds are good that your cat will already be microchipped. But in order for a microchip to be effective, you absolutely must register it and keep your contact information up-to-date. Microchips are the best way to legally prove that a cat is your pet. When bringing a new cat home, you’ll also want to get a collar with tags, so anyone who finds your cat can get her safely home. Be sure to get a “breakaway” collar, so your cat won’t get hung up under the furniture or in the brush if she escapes. Cool cat shelves are a nice extra to have when bringing your new cat home. Photography ©anurakpong | Getty Images. If you’ve got all the basics for bringing a new cat home, go shopping for these items to ensure kitty is healthy and happy. Many cats love running water, so instead of sending your water bill through the roof by keeping a faucet running, get your furry friend a fountain instead. I recommend a stainless steel or ceramic fountain, as those materials are least likely to build up bacteria. Puzzle toys are kind of a new thing in the cat world, and they’re a great way to keep your cat’s mind stimulated when you’re not around. You can buy pre-made puzzle toys — they vary from the basic to the very elaborate — or you can make your own with simple cat-safe things you have around your home like empty soda bottles or toilet paper rolls with paper on each end. 3. Window perches and cat shelves. Because cats view their territory in three dimensions, the more above-ground surfaces they can have, the happier they’ll be. 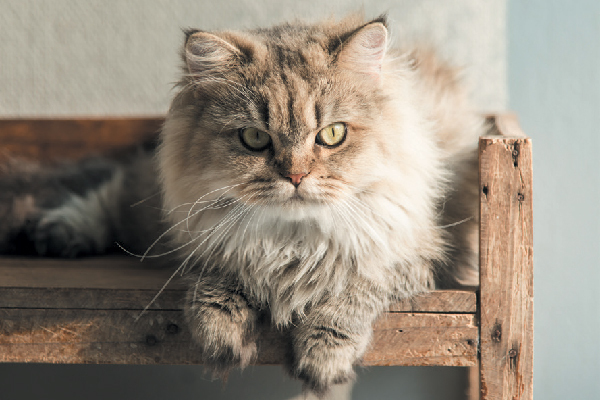 Window perches can be purchased at pet stores or online, and there are lots of great books on “catifying” your home with shelves and other accessories. Not all cats respond to catnip, but a significant majority of them do like catnip, and it’s a delight to watch a cat roll around in unabashed joy. Get the good stuff, though — don’t settle for a dry, dusty mess. 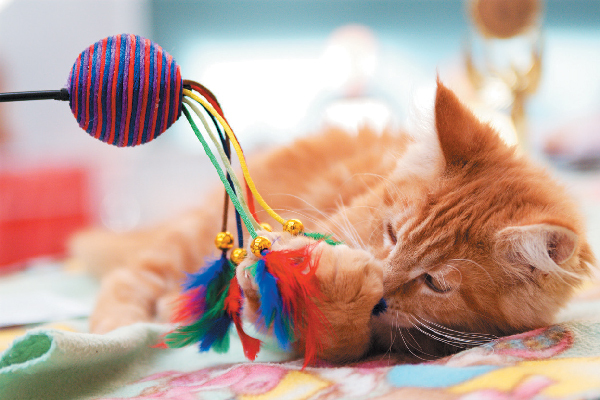 A catnip kicker toy is the best choice for maximum fun — you can buy them at pet stores or online from independent crafters. If you want your cat to be able to get some fresh air and feel the grass under her paws, the best and safest way to do that is to build her a catio, an outdoor enclosure that she can access through a window or a cat flap. Catios can be basic — pretty much just a cage attached to a window — or elaborate, multi-level play spaces with above-ground walkways, perches and jungle gyms. There are several companies that specialize in creating catios. Prepare for your new cat’s arrival with all of these things, and you’ll be setting yourself up for many happy years together. Enjoy! Thumbnail: Photography ©StudioThreeDots | Getty Images. Editor’s note: This article appeared in Kittens, a special issue from Catster magazine. Look out for Kittens on a newsstand near you! This article was originally published on April 26, 2018. Jane A Kelley is the author of the award-winning cat advice blog Paws and Effect and a contributing writer at Catster.com. She is a volunteer with Diabetic Cats in Need, a nonprofit that helped save her diabetic cat’s life. 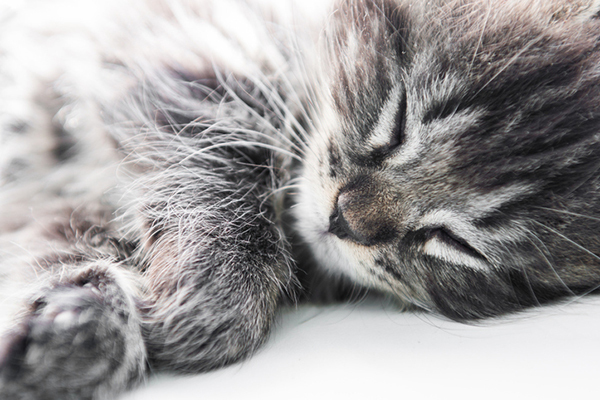 Cat Adoption Checklist: Are You Really Ready for Cat Adoption? Do Cats Need Other Cats or Would They Rather Be Alone? Thanks for suggesting that we get a drinking fountain for our cat to keep them healthy while saving water. I’m thinking about getting a kitten to keep me company, but I haven’t had one before and don’t know how to prepare. I want my kitten to always have access to water, so I think I’ll take your advice and get a drinking fountain before bringing a kitten home. Sisal rope is not safe for a cat to scratch on. I happened to go into the hall and found my grown cat with a claw hung in the rope. In another few seconds she would have broken or injured her toe. She was desperate to get loose. I worked her claw from the rope and threw it in the garbage can. Cardboard is much safer.